Our water damage Jackson team values qualities like professionalism and that’s why we are licensed, insured and bonded to perform all services. We know emergencies require the best and fastest service, so we are available 24/7 and will respond within 45 minutes of your call. So if you have water damage or even just a leak in your ceiling, give our water damage Jackson pros at 911 Restoration New Jersey a call today! How Do I Prevent Water Damage from a Ceiling Leak? By cleaning out and properly maintaining your home’s downspouts and gutters, water will properly drain away from your home rather than into it during the next heavy Jackson rainstorm. We know from serving the area for years that Jackson, New Jersey is a great, fast-growing city with many water parks. 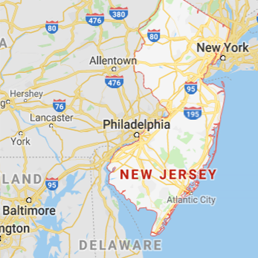 In fact, it’s even located in Ocean County. At 911 Restoration, we’re truly dedicated to keeping all of the city’s water where it belongs by always responding to emergencies quickly. That way, your insurance claim is more likely to be covered. So for the best company in the business that works extra hard to remove excess water and get claims covered, call our water damage Jackson team now! Our water damage Jackson insurance specialists stress the importance of knowing the specific details of your homeowner’s insurance policy because according to the Insurance Information Institute, homeowner’s insurance will cover water damage caused by indoor sources like a pipe burst, but won’t cover damage from outdoor sources like a flood from a rainstorm. Even if your claim isn’t covered, rest assured that restoration services are still extremely affordable when you use 911 Restoration. We work with all of the insurance companies to get your claim covered and also provide preventive maintenance help to our customers to ensure that homes are ready for the next unexpected emergency. As stated earlier, proper upkeep of your home and its plumbing is the best way to assure that water damage claims are covered. We understand that during a home catastrophe like a flooded living room, the last thing you want worry about is high repair costs. So for the most affordable and best service in all of the restoration industry, call our water damage Jackson team at 911 Restoration today! What is the Best Water Damage Company in Jackson? Our water damage Jackson professionals have both industry-leading experience and expertise in all aspects of water restoration and that combined with our commitment to our customers truly makes 911 Restoration New Jersey the best company in Jackson for water damage restoration services. We have over 35 years of experience serving the town of Jackson and putting the citizens of this great community first every time. At 911 Restoration, we truly care about your happiness, health and home and it shows. From 24/7 availability to a free inspection, we always go above and beyond the competition. So if you’re looking for the best restoration company in all of Jackson and surrounding areas, call our water damage Jackson professionals at 911 Restoration today!